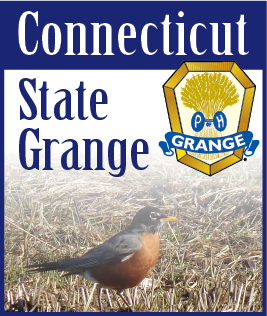 Get the latest information on the Connecticut State Grange wherever you go with our new mobile website. Designed to work on most modern smartphones and tablets, our mobile site gives you easy access to the latest news, reports, and calendar events - right at your fingertips. If you're using a smartphone, you can also find the site by going to our regular website address, and tapping the option to view the mobile version of the site. Using an Apple iPhone? 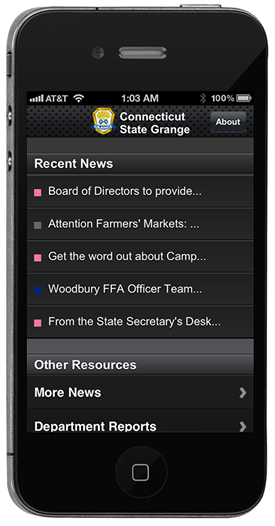 You can install our mobile site as an application on your phone! Just visit the mobile site using the built-in Safari browser, then tap the center button on the bottom toolbar, and select 'Add To Home Screen'. An icon will be placed on your phone's home screen giving you fast and easy access to a full-screen version of our mobile site.